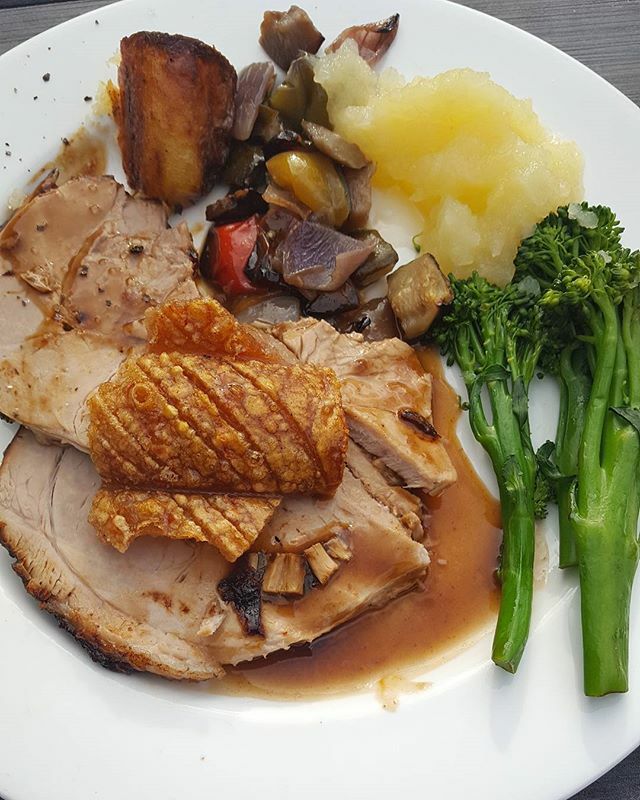 Roast pork with crackling. Yes you can have the crackling as your body needs good fats in moderation to help you feel full after meals, protect organs, store energy and not believe the body is on starvation mode. Apple sauce with no sugar added. Broccoli for vits K and C.
One small roast potato cooked in goose fat. Ratatouille with onions courgettes peppers.